The Sixers are getting in the game -- the eSports game that is. The NBA team announced that it's buying two eSports teams. The acquisition, made in partnership with its owners, makes the Sixers the first pro team in the U.S. to jump into the world of video game competitions known as eSports. "We like to be first and get out in front," Sixers CEO Scott O'Neil told CNNMoney. "We're always looking for new and exciting opportunities and eSports is an incredible, growing space." Between 2014 and 2016, the number of people following eSports online and on TV jumped from 204 million to 292 million, according to eSports data tracker Newzoo. Revenue has kept pace -- it grew from $194 million to $463 million in the same period. Related: Seven-figure salaries, sold-out stadiums: Is pro video gaming a sport? The Sixers plan to merge Team Dignitas and Team Apex into one team. 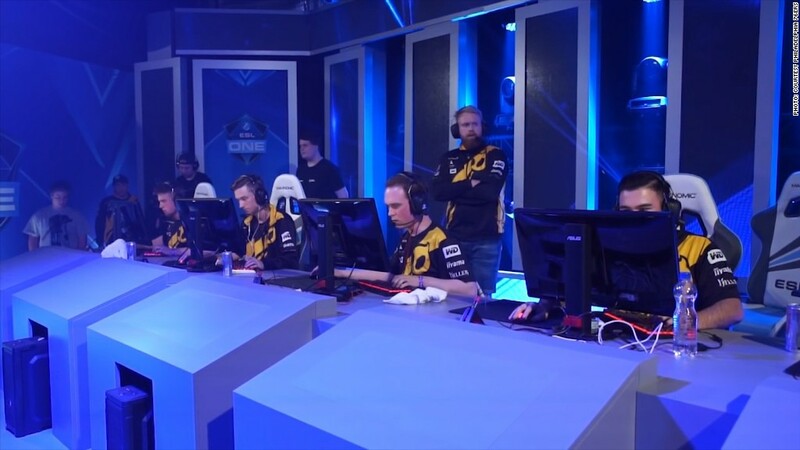 The new Team Dignitas will compete in the five biggest eSports video games -- League of Legends, Counter-Strike: Global Offensive, Overwatch, Heroes of the Storm and Smite. The owners behind the Sixers already have seven pro sports franchises, including English Premier League team Crystal Palace and the New Jersey Devils. O'Neil said the Sixers will manage the day-to-day operations of Team Dignitas and help with things like sponsorships, social media promotion and player wellness. The Sixers won't have any role in deciding which players make the team, but they may help with recruitment. According to O'Neil, the Sixers may host recruits, "put them on the court," have them "meet the players" and "talk to the coaches and trainers." Other than that though there won't be "too much cross over with the brands." O'Neil said there's a lot of interest in eSports, but most of the executives he's talked to from different industries don't know how to get involved. He thinks broadcasting eSports tournaments on TV can help change that. "It gives those [who aren't] in the space a little bit of an inside look," O'Neil said. That can help give companies the confidence they need to invest in or sponsor teams, according to O'Neil. O'Neil noted that there already seems to be a connection between basketball and eSports. "We've seen [Jonas] Jerebko come in, Shaquille O'Neal has come in, Rick Fox, a former Laker, has come in," O'Neil said. "There are different people entering the space, which I think will add a lot of value and celebrity appeal. I think what's a little bit different about us is we're bringing the weight of an organization that ... understands how to build real brands."